TICKETS: $20 Members, $25 Non-Members, $30 at the Door. Tickets can be purchased on our website or by calling 410 578 1919 x10. Please join us for a sneak preview of our most popular exhibition and shopping event of the year, Winterfest and the Holiday Shop. Enjoy the unveiling of fabulous ceramics, wine, lite fare and live jazz by Alan Blackman. This is a great opportunity to select your favorite pieces before they become available to the public (this show is cash and carry)! 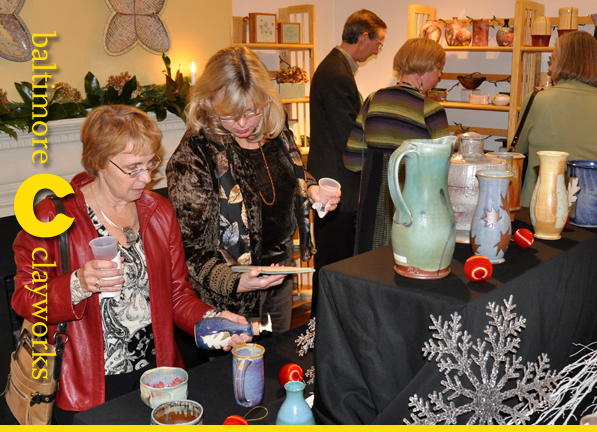 WINTERFEST 2015 is our nineteenth annual ceramics holiday exhibition featuring established and emerging ceramic artists. The show includes a versatile range of work - there is something for you and everyone on your gift list! Whether you need a beautiful serving bowl for a holiday party or a new piece of jewelry to wear for New Year's Eve, you'll find something unique during this holiday exhibition. Your ticket price directly benefits the artistic and educational programs at Baltimore Clayworks. If you can't attend this fundraiser, please consider making a donation or become a member. We're excited to announce Baltimore Clayworks first annual holiday ornament! 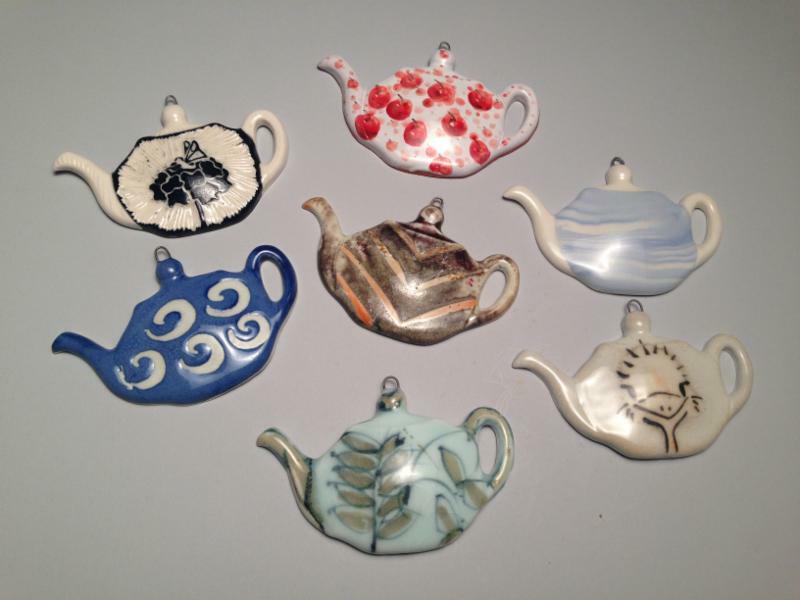 These gorgeous limited edition teapot ornaments were designed by associate artist Peggy Fowler, and decorated by Deb Bedwell, Patty Bilbro, Mary Cloonan, Jim Dugan, Peggy Fowler, Yoshi Fujii, Matt Hyleck, Sarah McCann, Sonya Meeker, Nick Ramey, Missy Steele and Volker Schoenfleiss. They will first become available to guests attending the Winterfest Jazz Preview Party, which is even more reason to purchase your tickets today. These ornaments will sell quickly,- so be sure to get yours while they last! They make the perfect holiday keepsake and are only $25. DONATE TODAY! BECOME A MEMBER!